Clarke Energy’s Australian operation have supplied a Kohler Power: KD220 generator to Meals on Wheels in Adelaide. Clarke Energy’s Australian head office for the South Pacific region is also based in Adelaide, so therefore welcomed an opportunity to support the organisation that was established in 1952 and has over 8000 volunteers, providing 4250 people three-course nourishing meals each day. 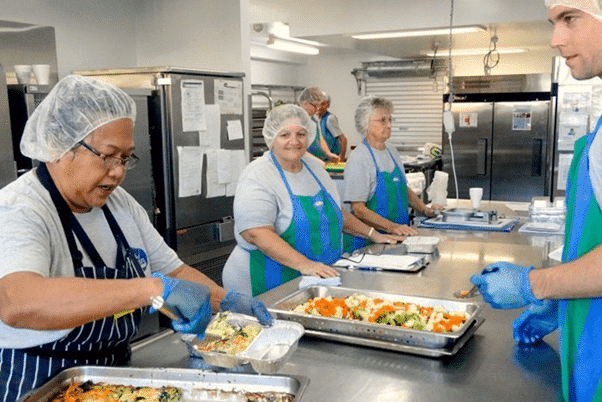 From cooks to kitchen helpers, drivers, deliverers and administrators, Meals on Wheels helps provide lunch to many, who without their help, may have difficulty in accessing such meals. Delivery of nourishing meals to maintain health and well-being. Recognising, responding and building people’s capacity to meet nutritional and other needs that increase well-being. Power failures can have an adverse effect when peak load is required at the facilities where the meals are produced, so the installation of the Kohler KD220 silenced standby genset, will enable certainty of supply. The KD220 generator will be used for essential power supply during peak demand periods and emergency power back-up.